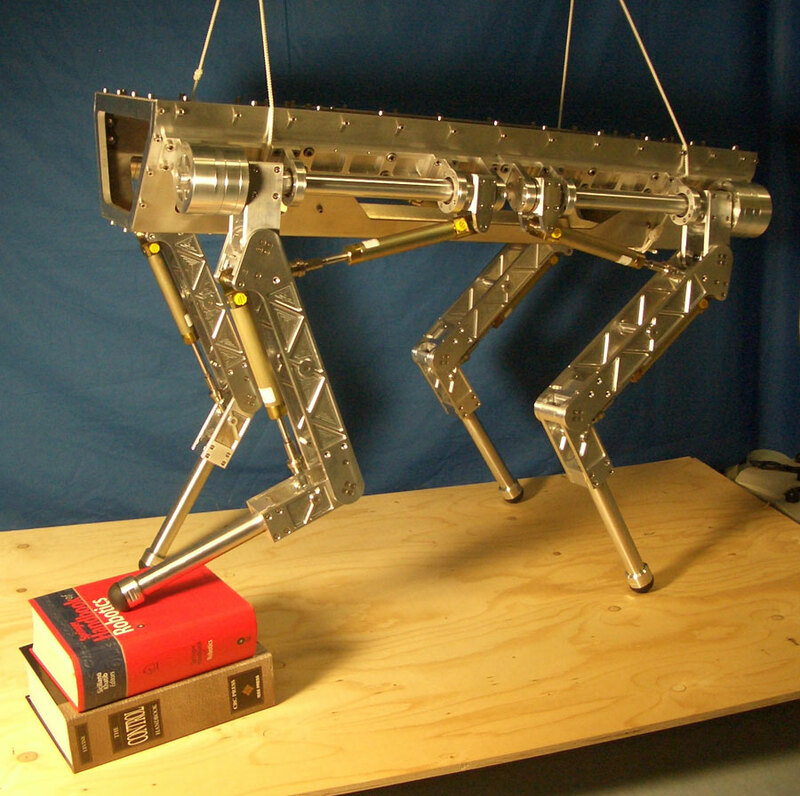 DARPA may be the Big Dog of robotic cargo transport for now, but that doesn't mean it's the only game in town. 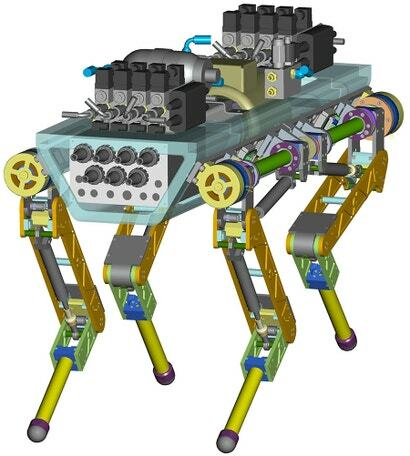 A new design from the Italian Institute of Technology may look like the US Army's pack-bot but it runs like a Ferarri — or at least a skittering, mechanical Ibex. Led by Professor Darwin Caldwell, a team from the IIT's department of Advanced Robotics has spent nearly half a decade designing, building and testing the metre-long, 70kg hydraulically driven quadraped — Hydraulically driven Quadraped, HyQ. 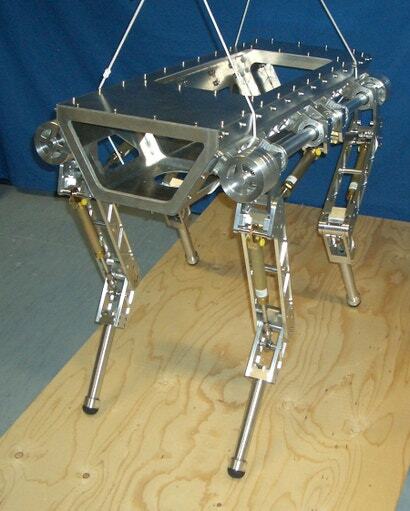 Being hydraulically activated and constructed from lightweight aluminium, the HyQ is one of a handful of robots capable of the instantaneous corrections needed for off-road deployment. It employs 12 active joints — eight hydraulically powered, four electrically powered — to generate the necessary torque for moving nimbly over rough terrain. And boy can it move. As you can see in the test video above, the HyQ is not only capable of bounding up inclines, trotting along at 2m/s, and actively avoiding obstacles but also leaping vertically, clamouring over and around debris, even rearing up on its hind legs (just needs a simian Lone Ranger riding and the effect will be complete).